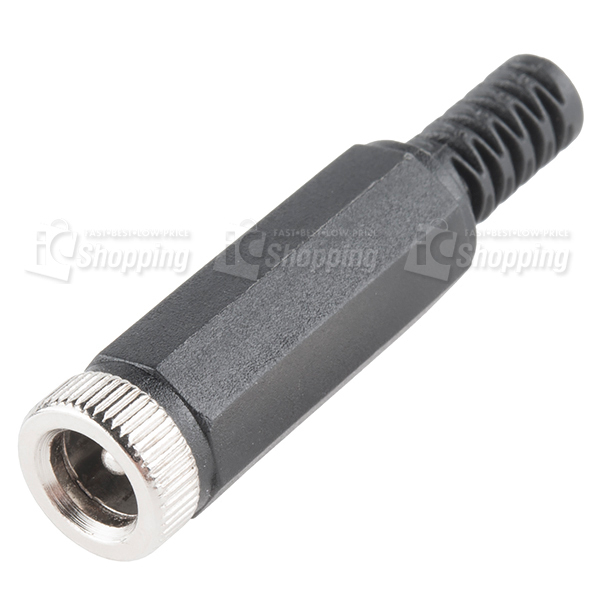 Description: This female barrel jack plug is great for adding a common connector to the end of wires. 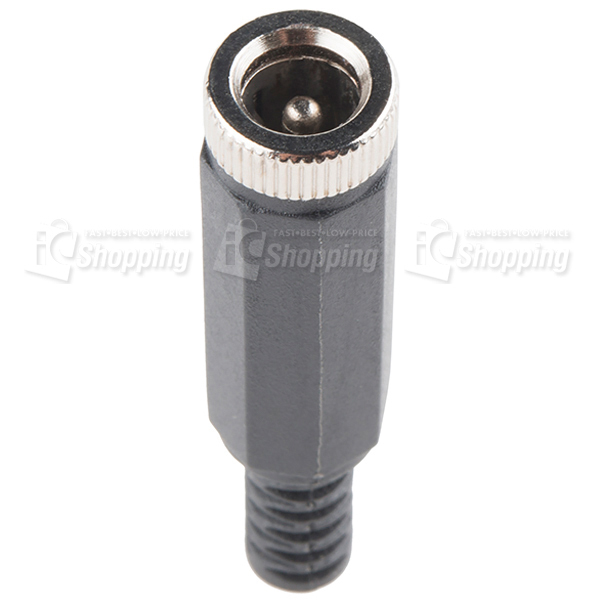 This jack is compatible with 5.5x2.1mm barrel connectors. The outer shell unscrews to reveal solder terminals and a crimp strain relief. The outer shell has strain relief as well.